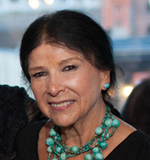 Alanis Obomsawin is one of the most respected, accomplished and prolific filmmakers in Canada. A member of the Abenaki Nation, her more than 30 documentaries capture the past and present of Aboriginal peoples in Canada, shining a spotlight on the historical and social conditions in which they live. Ms. Obomsawin started her career as a professional singer, and joined the National Film Board of Canada in 1967. Today, she is one of only three filmmakers on staff. Ms. Obomsawin is also an engraver and print-maker, and her work has been exhibited around the world. In 2008, she was the subject of a special retrospective at The Museum of Modern Art in New York City. Ms. Obomsawin’s most celebrated film is probably 1993’s Kanehsatake: 270 Years of Resistance, about the 1990 Mohawk uprising. Two other films, 1984’s Incident at Restigouche and 2002’s Is the Crown at War With Us? document the ongoing conflict between the government of Canada and Mi’kmaq fishermen over fishing rights. In 2011, Ms. Obomsawin visited Halifax as part of a lecture series at the University of King’s College, and screenings of her films have since been sponsored by the Dalhousie Canadian Students Society, Native Students Association and the Dalhousie Student Union’s Equity and Access Office. Ms. Obomsawin has won over 100 awards for her personal and filmmaking achievements. She has honorary degrees from Dartmouth College; the Universities of British Columbia, Guelph and Western Ontario; and Trent, Queen’s, Carleton, York, and Concordia Universities. She was made a member of the Order of Canada in 1983 and an officer in 2002.